We’ve found great deals at 96 hotels! V E Hotel & Residence Kuala Lumpur is located in Bangsar South, a commercial and lifestyle hub located just south of the capital city. Guests can easily reach the Kuala Lumpur city center and KL Sentral by taking public transportation from the hotel. 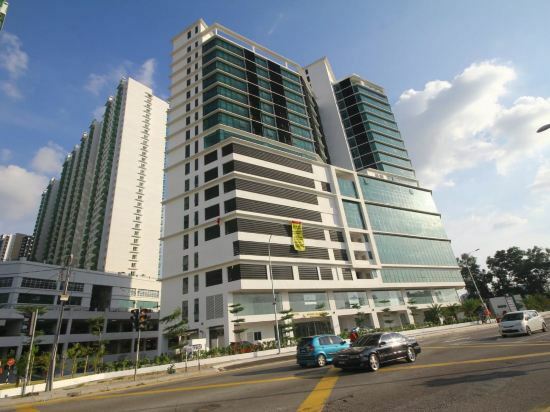 The hotel is located close to Mid Valley City, a well-known mall and place of entertainment. The property is made up of both hotel rooms and fully furnished serviced apartments, assuring that there’s always a room available to suit every type of guest. Rooms are equipped with Wi-Fi, safes, work desks, and flat screen televisions. Bathrooms include hairdryers, slippers, and bathrobes. Guests at V E Hotel & Residence have the option of dining at several different on-site venues. The Straits Estate offers traditional Malaysian fare in addition to international favorites. The restaurant overlooks a garden courtyard and pond, affording guests with spectacular views. Veranda Bar & Lounge is designed as an al fresco terrace and has an open balcony. It’s the perfect place to enjoy drinks with friends while looking out on the city. After a busy day of work or sightseeing, guests can relax in the hotel’s sauna or hit the 24-hour gym to maintain their fitness regimens. The hotel also has an infinity pool with a sundeck and a wading pool for children. Room service is available, assuring guests are always able to have meals at their own convenience. 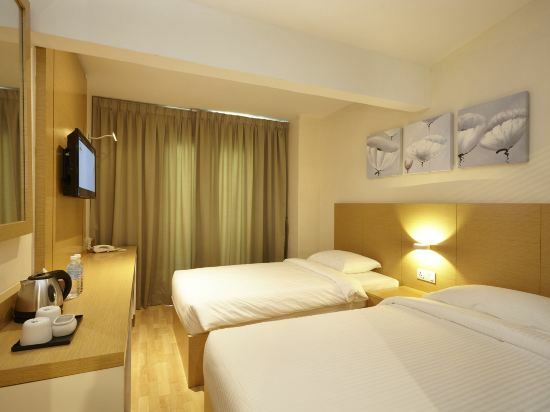 Whether you’re on business or traveling for leisure, V E Hotel & Residence Kuala Lumpur is an excellent place to stay. Expect perfect bliss and 5-star treatment at The Gardens – A St Giles Signature Hotel & Residences, Kuala Lumpur , Malaysia.A 40-minute drive from the international airport will bring you to a pool of indulgence worth waiting a lifetime for. Upon arrival, linger or take a brief respite inside our elegant spaces that present the pampering and comforts you desire. Hold big celebrations with its 20,000 sq ft ballroom, 9 fully equipped function venues, and various dining options. And enjoy a non-smoking environment throughout the rooms and enclosed areas — the first hotel in Malaysia to offer such feature.Connected to The Gardens is a mall that houses brands like Kate Spade and Louis Vuitton for your shopping pleasure. 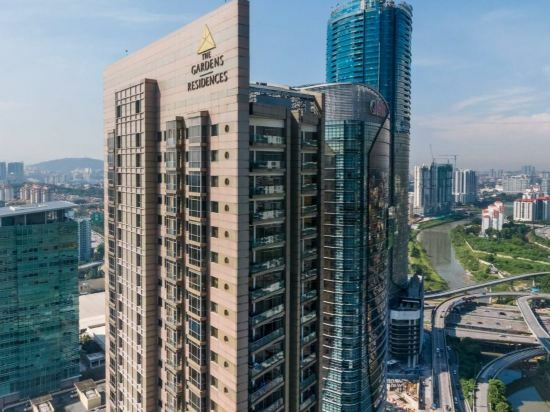 If exploring is something you wish to do, exhibition centres, nightspots, parks, universities, and galleries are found just minutes from here at The Gardens – A St Giles Signature Hotel & Residences, Kuala Lumpur. Tourist can enjoy savings at The Gardens mall with our Tourist Privilege Card.Simply present your passort or ID at hotel's concierge desk to get Tourists Privilege Card.For tourist Privilege Cardholders, spend RM 1000 and above in a single day at any of specialty store to redeem an exclusive gift. Located in the newly-transformed Bangsar South district, Capri by Fraser Kuala Lumpur offers light, casual dining at Caprilicious and Delite, the Ripples poolside bar, and the Pod and Pow-Wow meeting facilities. 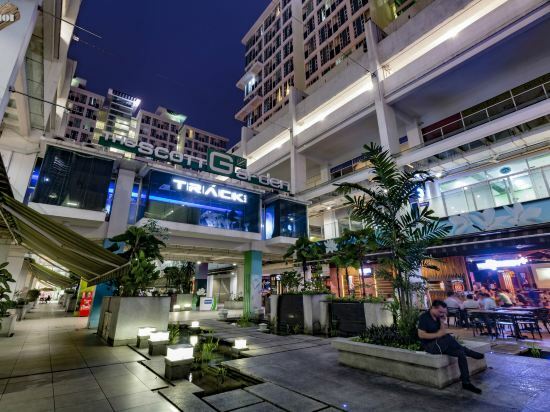 Surrounded by a wealth of entertainment and recreation options, including the new NEXUS Mall and a six-acre park, this chic new destination offers savvy travellers a fun and rejuvenating stay. For a refreshing stay that blurs the line between business and leisure, Capri by Fraser Kuala Lumpur is set in a 33-storey tower with a rooftop bar offering stunning city views. A destination in itself, this smart new property features 240 spacious studios and apartments, all with kitchenettes, hi-speed Wi-Fi throughout and the very latest facilities. 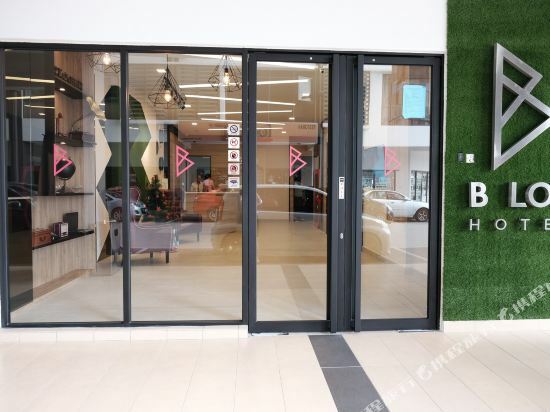 The Boulevard – A St Giles Hotel, Kuala Lumpur is a business-oriented hotel that sits right in the middle of Midvalley City, 20 minutes from the city centre. Even so, well-known attractions are within reach using nearby public transportation, KTM Komuter Midvalley, and the hotel is flanked with two of the most exciting shopping malls in the city - the family-friendly Midvalley Megamall and the upmarket Gardens Mall, offering over 600 retail, dining and entertainment options for you to choose from. Hotel facilities include four function rooms, a gymnasium, an outdoor pool and two F&B venues: Flutes Living Room for a selection of wines, champagnes and cocktails, and Wild Rice Restaurant offering local and western cuisine with an open terrace and pool view seating. Just steps from Mid Valley Megamall which houses a spa and pool, Cititel Mid Valley is a 5-minute walk from Mid Valley Komuter Train Station. The hotel offers 24-hour dining. 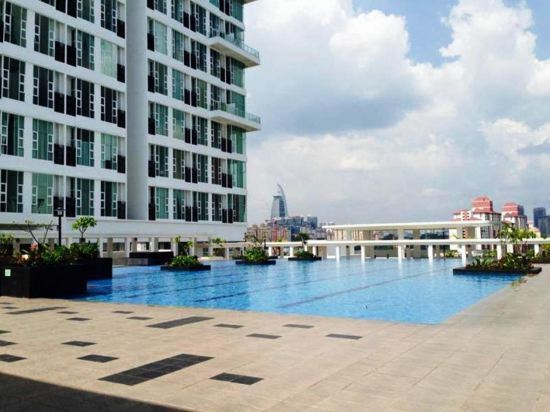 Cititel is in the heart of Klang Valley, a 15-minute drive from Petaling Street. 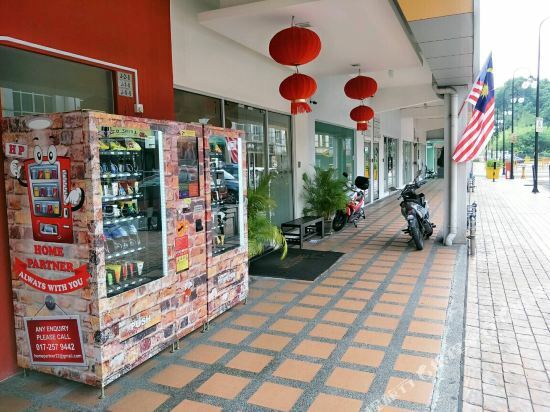 Bintang Walk is 20 minutes by taxi, and a 70-minute ride from Kuala Lumpur International Airport. Tea/coffee makers and minibars feature in each of Cititel Valley’s rooms. Cable TV channels are provided. A safety deposit box is included in each room. Endless shopping options await in the mall, together with a gym and cinema. The hotel’s concierge and tour desks take care of guests’ requests and needs. Currency exchange services are available. The 24-hour Citi Café serves local and international dishes, featuring themed lunch buffets. Occasional live entertainment can be enjoyed over drinks and light refreshments at Citi Lounge. Guests also have the option of 24-hour room service. V E Hotel & Residence Kuala Lumpur is located in Bangsar South, a commercial and lifestyle hub located just south of the capital city. Guests can easily reach the Kuala Lumpur city center and KL Sentral by taking public transportation from the hotel. 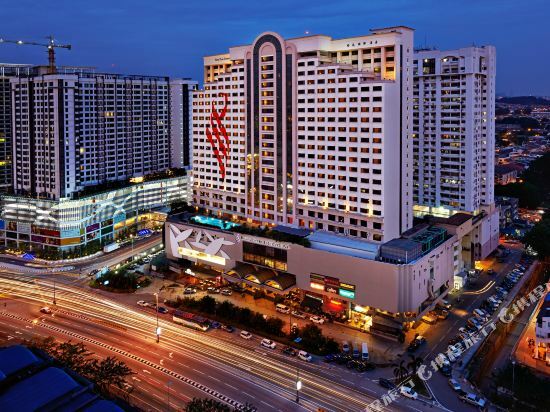 The hotel is located close to Mid Valley City, a well-known mall and place of entertainment. <br><br>The property is made up of both hotel rooms and fully furnished serviced apartments, assuring that there’s always a room available to suit every type of guest. Rooms are equipped with Wi-Fi, safes, work desks, and flat screen televisions. Bathrooms include hairdryers, slippers, and bathrobes. <br><br>Guests at V E Hotel & Residence have the option of dining at several different on-site venues. The Straits Estate offers traditional Malaysian fare in addition to international favorites. The restaurant overlooks a garden courtyard and pond, affording guests with spectacular views. Veranda Bar & Lounge is designed as an al fresco terrace and has an open balcony. It’s the perfect place to enjoy drinks with friends while looking out on the city. <br><br>After a busy day of work or sightseeing, guests can relax in the hotel’s sauna or hit the 24-hour gym to maintain their fitness regimens. The hotel also has an infinity pool with a sundeck and a wading pool for children. Room service is available, assuring guests are always able to have meals at their own convenience. Whether you’re on business or traveling for leisure, V E Hotel & Residence Kuala Lumpur is an excellent place to stay. Expect perfect bliss and 5-star treatment at The Gardens – A St Giles Signature Hotel & Residences, Kuala Lumpur , Malaysia.A 40-minute drive from the international airport will bring you to a pool of indulgence worth waiting a lifetime for. Upon arrival, linger or take a brief respite inside our elegant spaces that present the pampering and comforts you desire. Hold big celebrations with its 20,000 sq ft ballroom, 9 fully equipped function venues, and various dining options. 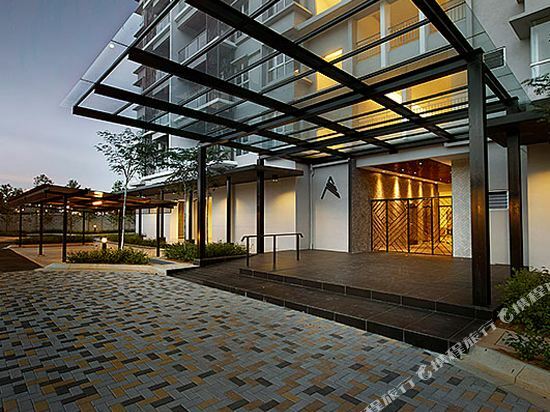 And enjoy a non-smoking environment throughout the rooms and enclosed areas — the first hotel in Malaysia to offer such feature.Connected to The Gardens is a mall that houses brands like Kate Spade and Louis Vuitton for your shopping pleasure. If exploring is something you wish to do, exhibition centres, nightspots, parks, universities, and galleries are found just minutes from here at The Gardens – A St Giles Signature Hotel & Residences, Kuala Lumpur.<br><br>Tourist can enjoy savings at The Gardens mall with our Tourist Privilege Card.Simply present your passort or ID at hotel's concierge desk to get Tourists Privilege Card.For tourist Privilege Cardholders, spend RM 1000 and above in a single day at any of specialty store to redeem an exclusive gift. Located in the newly-transformed Bangsar South district, Capri by Fraser Kuala Lumpur offers light, casual dining at Caprilicious and Delite, the Ripples poolside bar, and the Pod and Pow-Wow meeting facilities. Surrounded by a wealth of entertainment and recreation options, including the new NEXUS Mall and a six-acre park, this chic new destination offers savvy travellers a fun and rejuvenating stay.<br>For a refreshing stay that blurs the line between business and leisure, Capri by Fraser Kuala Lumpur is set in a 33-storey tower with a rooftop bar offering stunning city views. A destination in itself, this smart new property features 240 spacious studios and apartments, all with kitchenettes, hi-speed Wi-Fi throughout and the very latest facilities. Just steps from Mid Valley Megamall which houses a spa and pool, Cititel Mid Valley is a 5-minute walk from Mid Valley Komuter Train Station. The hotel offers 24-hour dining.<br><br>Cititel is in the heart of Klang Valley, a 15-minute drive from Petaling Street. Bintang Walk is 20 minutes by taxi, and a 70-minute ride from Kuala Lumpur International Airport.<br><br>Tea/coffee makers and minibars feature in each of Cititel Valley’s rooms. Cable TV channels are provided. A safety deposit box is included in each room.<br><br>Endless shopping options await in the mall, together with a gym and cinema. The hotel’s concierge and tour desks take care of guests’ requests and needs. Currency exchange services are available.<br><br>The 24-hour Citi Café serves local and international dishes, featuring themed lunch buffets. Occasional live entertainment can be enjoyed over drinks and light refreshments at Citi Lounge. Guests also have the option of 24-hour room service. Unveiling Of A New Experience!<br>Strategically located between Kuala Lumpur and Petaling Jaya, The Pearl Kuala Lumpur is an iconic business class hotel located in the heart of Old Klang Road offering 555 comfortable guest rooms that are modern contemporary and tastefully furnished.<br>Guests also enjoy great shopping experience as the hotel is located within Pearl Point Shopping Mall and next to the newly-opened Pearl Shopping Gallery (adjoining via link bridge),Little India - Brickfields, and other leisure facilities provided within the surrounding of the hotel building. The hotel creates a balance of rich F&B dining with modern day convenience to make your stay a memorable one.<br>At The Pearl Kuala Lumpur, comfort and convenience is our top priority.<br>Choose any of our spacious well-furnished guest rooms offering a cosy ambiance coupled with meticulous service to ensure a pleasant stay.For business travellers, our Premier Floor offers luxurious new rooms with access to the exclusive Executive Lounge ON 23 located on the 23rd floor of the hotel. 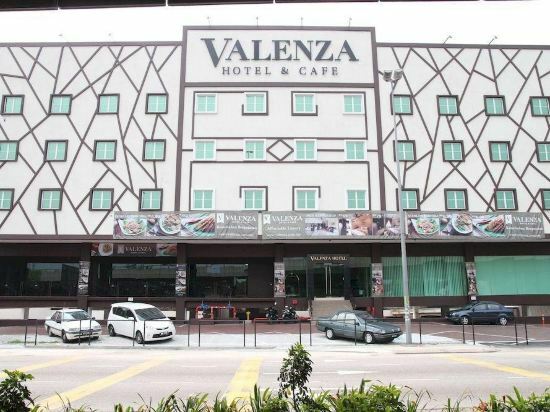 Valenza Hotel & Café, Kuala Lumpur is strategically located in the more peaceful side of the town. Take a stroll along Jalan Telawi in Bangsar, loll around in local pubs, and make observation of the passerby. Or take a five-minute ride to Kuala Lumpur City Centre and gaze at the magnificent sight of the skyscrapers.<br> <br>At only 500m away are the popular shopping malls, MidValley Megamall and Gardens to cross out your quick shopping list. The Nomad Residence Bangsar Kuala Lumpur offers serviced apartments with free Wi-Fi and free parking. Guests can enjoy free shuttle services to Bangsar LRT Station, Bangsar Village and Mid Valley Mega-Mall.<br><br>Apartments at The Nomad Residences feature either 1, 2 or 3 bedrooms, a living room and fully equipped kitchenette. Each unit has a LCD TV with cable channels, washing machine and dryer. Guests can enjoy a workout at the fitness room or relax in the outdoor pool. Separate saunas are available for men and women. Housekeeping and concierge services are provided by The Nomad Residences. 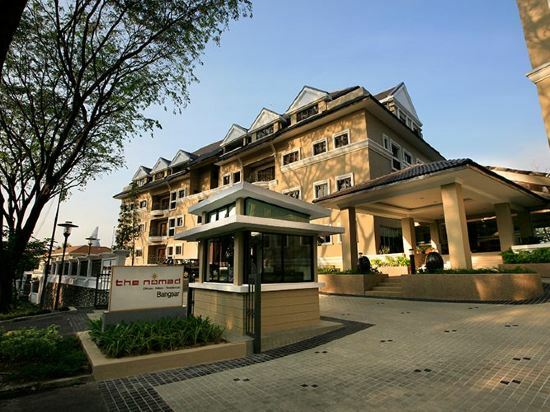 The Nomad Residence Bangsar Kuala Lumpur is a 10-minute drive away from KL Sentral Station. 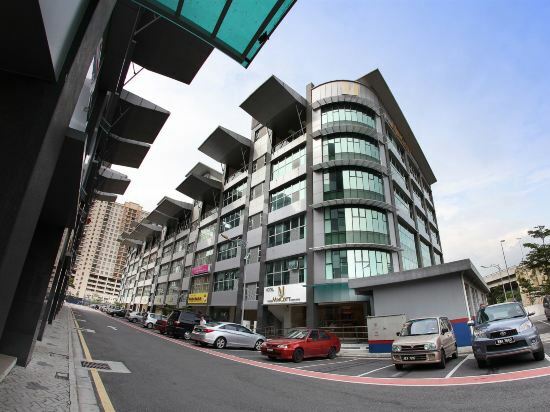 Within walking distance are various restaurants and Bangsar Shopping Centre. Signature Hotel @ Bangsar South Kuala Lumpur central located at Mid Valley/BangsarArea. Hotel offers strategic location and easy access to the lively city has to offer. Hotel require 45-minute drive away from Kuala Lumpur International Airport and 10-minute drive away from KL Sentral. Hotel offers wide range of services and facilities to ensure guest have a pleasant stay. 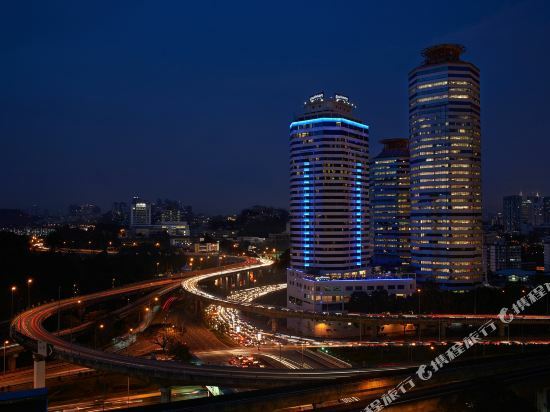 With it strategic location and convenient accessibility, it made hotel one of the ideal place of stay both business and leisure travelers in Mid Valley/Bangsar Area. 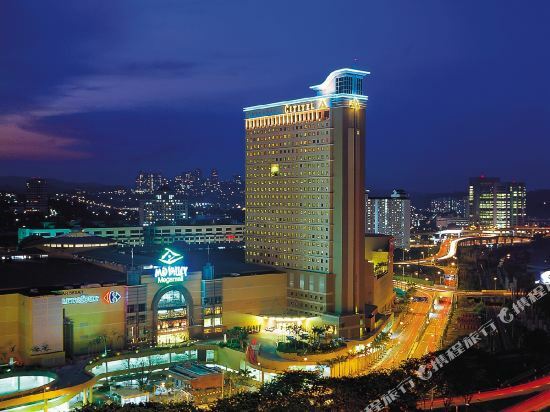 Ray Parc Hotel Kuala Lumpur is strategically located between Kuala Lumpur and Petaling Jaya which is merely within 5 minutes to the Mid Valley City, one of Kuala Lumpur’s most compelling leisure, hospitality, retail and office destinations. Comfort, affordability and warm hospitality beyond 3 star standards are the key aspects you will experience when you first step through our doors. Ray Parc Hotel Kuala Lumpur offers a total of 96 premier accommodations, elegantly furnished guestrooms.<br>Ray Parc Hotel Kuala Lumpur is also just minutes away from the busy expanding landmark known as the Little India of Kuala Lumpur. With so much to do and so many attractions to offer, Ray Parc Hotel Kuala Lumpur is the ideal place to stay be it for leisure or business travelers.<br>To ensure that you stay connected with your friends and business partners, the hotel’s complimentary Wi-Fi connection enable you hassle free convenience from all our rooms and hotel area. 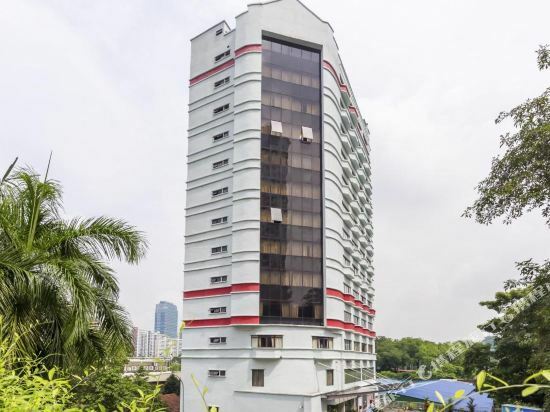 Hotel MinCott Kuala Lumpur centrally located at Kuala Lumpur near Mid Valley area. Hotel offers strategic location and easy access to the lively city has to offer. Hotel require 46-minute drive away from Kuala Lumpur International Airport and only 15-minute drive away from KL Sentral Railway Station. Hotel offers wide range of services and facilities to ensure guest have a pleasant stay. With its strategic location and convenient accessibility, it made hotel an ideal place of stay for both business and leisure travelers in Kuala Lumpur near Mid Valley area. 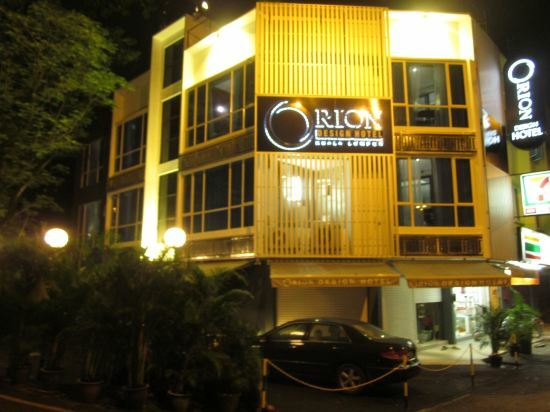 Orion Design Hotel is situated just a 3-minute walk from shopping options at Kuala Lumpur’s Mid Valley Megamall and train stations at KTM Komuter and KL Sentral. This boutique hotel features horoscope-themed rooms with free Wi-Fi access. The hotel is within a 20-minute drive of Petaling Street (Chinatown), Kuala Lumpur city centre and the popular area of Bukit Bintang. Kuala Lumpur International Airport is an hour’s drive away. Contemporary air-conditioned rooms feature a private bathroom with a rainshower. They are equipped with a flat-screen TV, a personal safe and an iPod dock. Tea/coffee making facilities and free bottled water are provided. Guests can head to Orion’s 24-hour front desk for assistance with luggage storage or airport shuttle services. There is also a reading corner and a personal computer in the lobby for use. 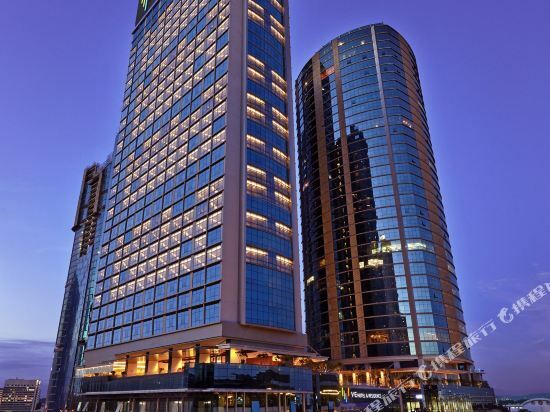 Hotel Six Seasons Kuala Lumpur centrally located at Kuala Lumpur City Center area. Hotel offers strategic location and easy access to the lively city has to offer. Hotel require 43-minute drive away from Kuala Lumpur International Airport and only 13-minute drive away from KL Central. Hotel offers wide range of services and facilities to ensure guest have a pleasant stay. 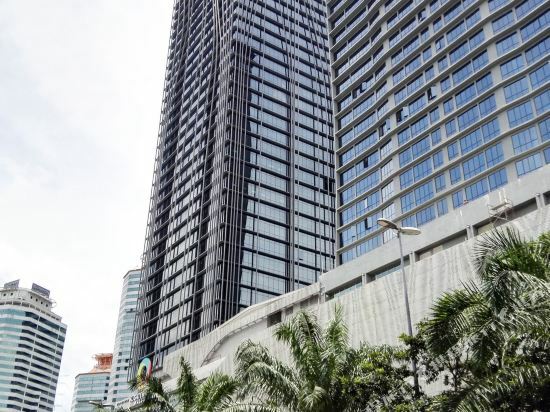 With its strategic location and convenient accessibility, it made hotel one ideal place of stay for both business and leisure travelers in Kuala Lumpur City Center area. N3 Boutique Hotel Kuala Lumpur centrally located at Kuala Lumpur. 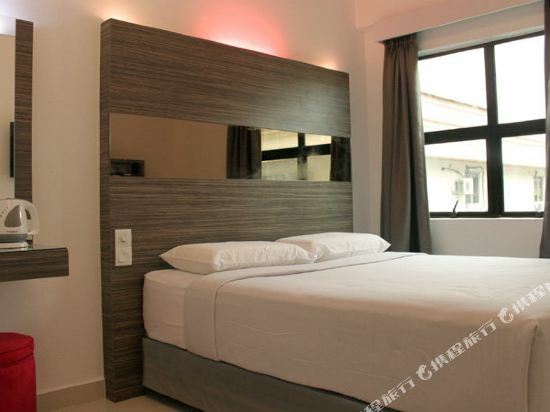 Hotel offers strategic location and easy access to the lively city. Hotel require 49-minute drive away from Kuala Lumpur International Airport. Hotel offers wide range of services and facilities to ensure guest have a pleasant stay. 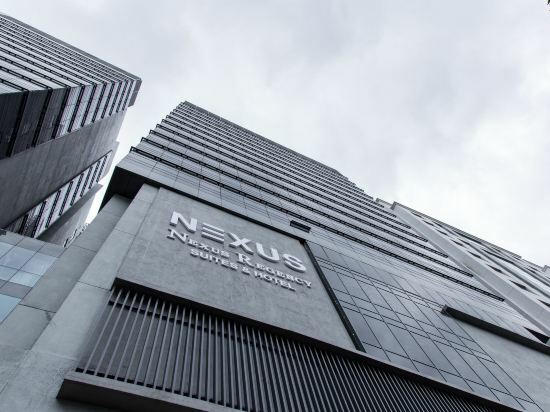 With its strategic location and convenient accessibility, it made hotel one ideal place of stay for both business and leisure travelers in Kuala Lumpur. Summit Signature Hotel OUG Kuala Lumpur is a popular choice amongst travelers in Kuala Lumpur, whether exploring or just passing through. The hotel offers a wide range of amenities and perks to ensure you have a great time. To be found at the hotel are free Wi-Fi in all rooms, 24-hour security, daily housekeeping, 24-hour front desk, Wi-Fi in public areas. Each guestroom is elegantly furnished and equipped with handy amenities. The hotel offers various recreational opportunities. For reliable service and professional staff, Summit Signature Hotel OUG Kuala Lumpur caters to your needs. 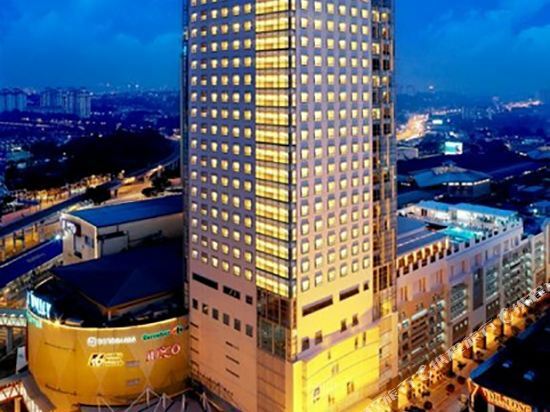 Time Hotel Kuala Lumpur centrally located at Kuala Lumpur Mid Valley area. Hotel offers strategic location and easy access to the lively city has to offer. Hotel requires 42-minute drive away from Kuala Lumpur International Airport and only 13-minute drive away from KL Sentral Railway Station. Hotel offers wide range of services and facilities to ensure guest have a pleasant stay. Services and facilities are includes 24-hour reception service and et cetera. With its strategic location and convenient accessibility, it made hotel one of the ideal places of stay for both business and leisure travelers in Mid Valley area. Featuring air conditioning, S-Suites@The Scott Garden is located in Kuala Lumpur, 7 km from Berjaya Times Square. Starhill Gallery is 7 km from the property. Free WiFi is featured . The accommodation has a flat-screen TV. There is also a dining area and a kitchen fitted with a microwave, a refrigerator, and a stovetop. There is a private bathroom with a?bath and bidet in each unit, along with a hair dryer. The apartment offers free private parking on-site S-Suites@The Scott Garden also includes a spa centre and outdoor pool. Guests can enjoy a meal at the on-site restaurant, followed by a drink at the bar. Petronas Twin Towers is 8 km from S-Suites@The Scott Garden. The nearest airport is Sultan Abdul Aziz Shah Airport, 15 km from the property. KL101 Service Suite at The Scott Garden Kuala Lumpur centrally located at Kuala Lumpur City Center area. Hotel offers strategic location and easy access to the lively city has to offer. Hotel require 40-minute drive away from Kuala Lumpur International Airport and only 10-minute drive away from KL Central. Hotel offers wide range of services and facilities to ensure guest have a pleasant stay. With its strategic location and convenient accessibility, it made hotel one ideal place of stay for both business and leisure travelers in Kuala Lumpur City Center area. 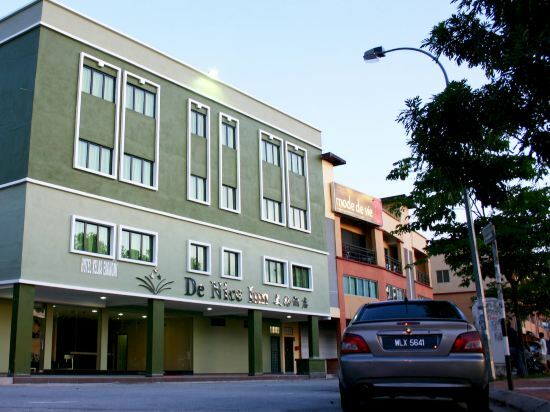 The 1-star De Nice Inn Kuala Lumpur offers comfort and convenience whether you're on business or holiday in Kuala Lumpur. Featuring a complete list of amenities, guests will find their stay at the property a comfortable one. Car park, elevator, room service, free Wi-Fi in all rooms, family room are there for guest's enjoyment. Comfortable guestrooms ensure a good night's sleep with some rooms featuring facilities such as internet access – wireless, coffee/tea maker, television, shower, complimentary bottled water. The hotel offers various recreational opportunities. De Nice Inn Kuala Lumpur combines warm hospitality with a lovely ambiance to make your stay in Kuala Lumpur unforgettable. Sens Hotel Kuala Lumpur centrally located at Kuala Lumpur City Center area. Hotel offers strategic location and easy access to the lively city has to offer. Hotel require 45-minute drive away from Kuala Lumpur International Airport and only 18-minute drive away from KL Central. Hotel offers wide range of services and facilities to ensure guest have a pleasant stay. 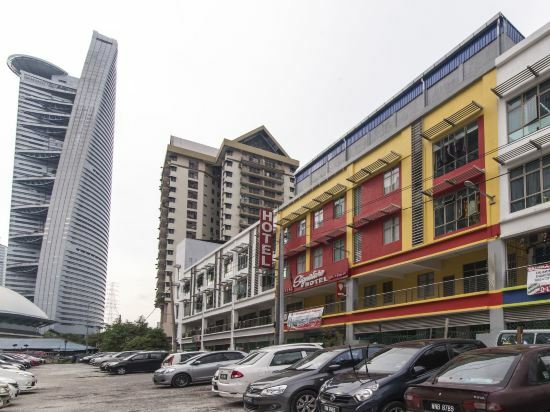 With its strategic location and convenient accessibility, it made hotel one ideal place of stay for both business and leisure travelers in Kuala Lumpur City Center area. If you want to stay in the best hotel in Kuala Lumpur, Malaysia, please come to Trip.com for a custom trip. Staying in exclusive Kuala Lumpur Mid Valley/Bangsar hotel Trip.com offers, you can fully relax and enjoy the stay in Kuala Lumpur and around Kuala Lumpur. All these Kuala Lumpur Mid Valley/Bangsar hotels lead in the industry in aspects of environment and recreation facilities, providing the best hotel service in Kuala Lumpur. 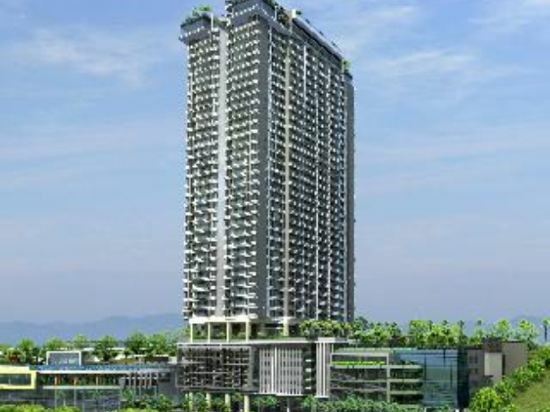 To ensure that you can find the latest Mid Valley/Bangsar hotel in Kuala Lumpur, the latest hotel price as well as hotel facilities and indoor facilities information will be offered. In the meantime, detailed photos of Kuala Lumpur Mid Valley/Bangsar hotel will be displayed, making you know quickly whether hotel’s interior environment meets your taste. Besides, you can know specific location and reviews on Kuala Lumpur Mid Valley/Bangsar hotel from millions of users. If you want a nice room with limited budget, please filter through price and distance to get an appropriate Kuala Lumpur Mid Valley/Bangsar hotel. To ensure you can experience the best Kuala Lumpur Mid Valley/Bangsar hotel, users and we give a comprehensive rating on hotel, which gives useful help. Believe it or not, as the biggest online travel service company, we have the best service assurance and perfect users’ experience to meet your requirements in different aspects, no matter it’s Kuala Lumpur hotel or Kuala Lumpur Mid Valley/Bangsar hotel.